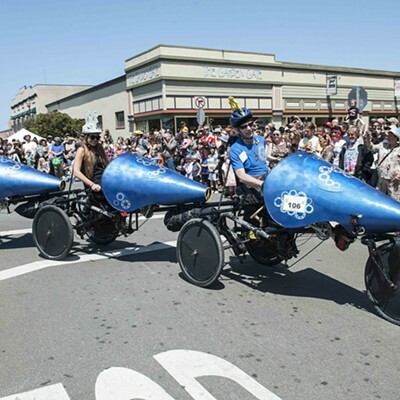 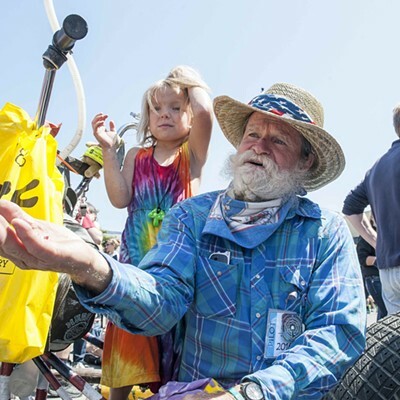 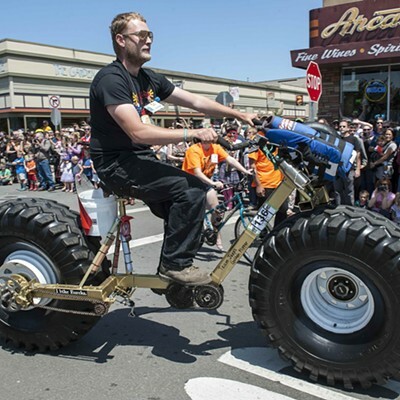 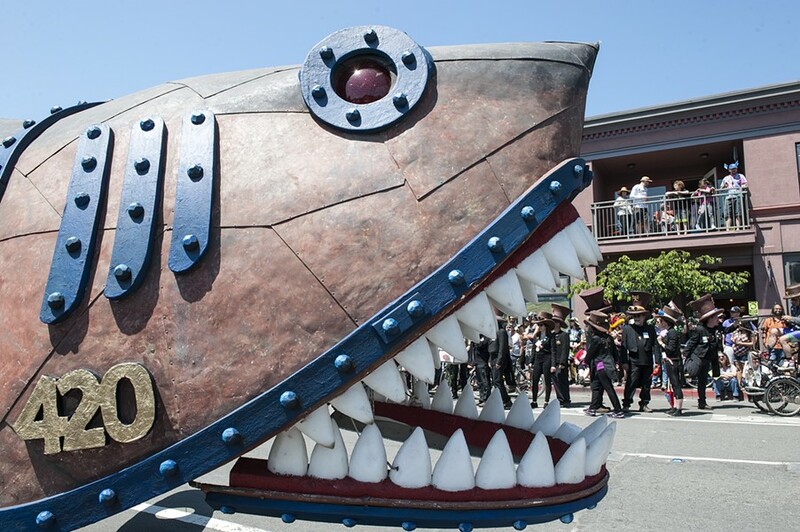 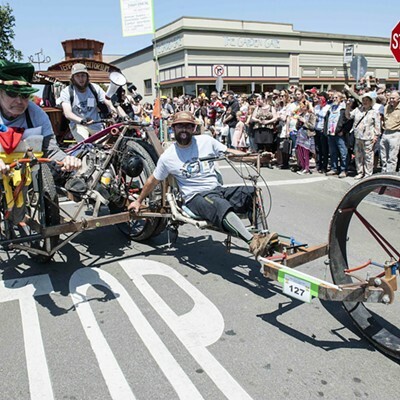 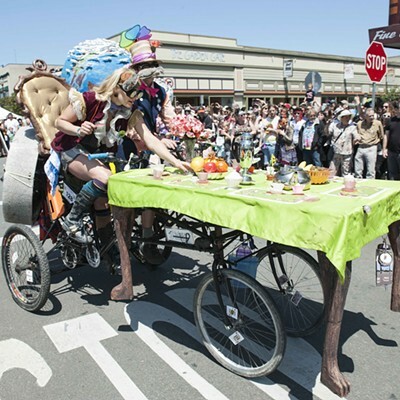 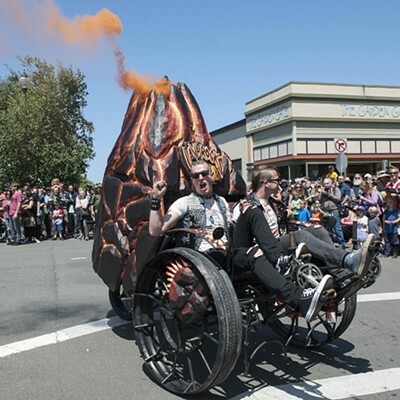 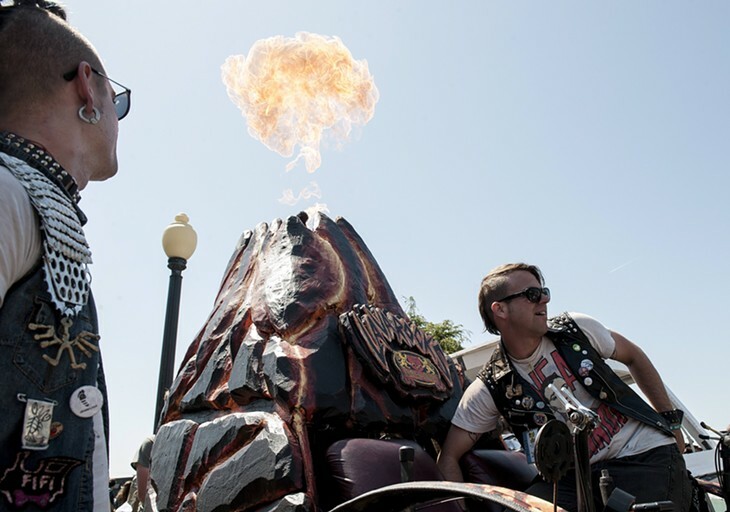 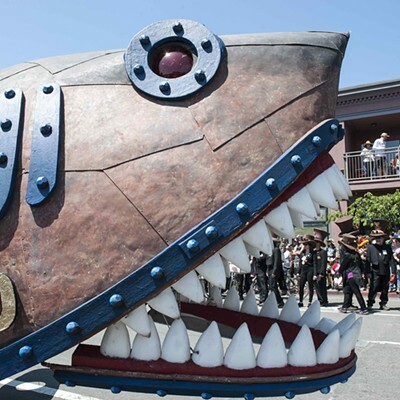 The great rolling circus that is the Kinetic Grand Championship took off from the Arcata Plaza today for the first leg of a three-day marathon of creativity, humor, stamina and daredevilry on wheels. 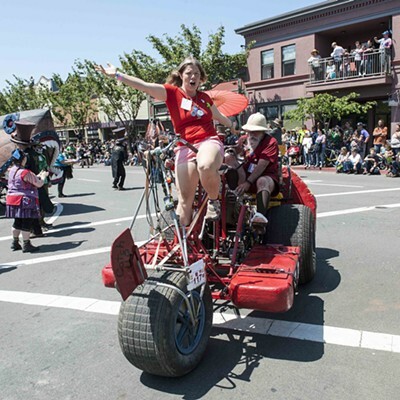 Now in its 47th year, the Hobartian hullabaloo shows no signs of slowing down (maybe we need another brake check) or running out of wild ideas. 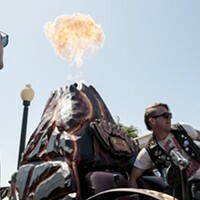 Photographer Mark McKenna caught the action on the plaza and the infamous Dead Man's Drop in Manila. 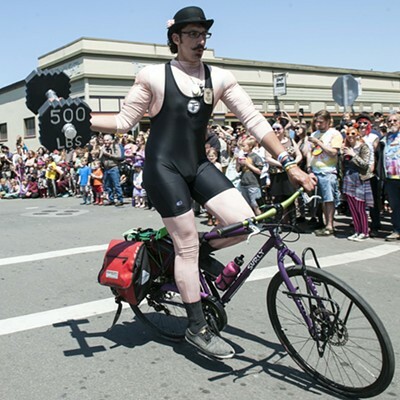 Check out this slideshow below and bask in the glory.